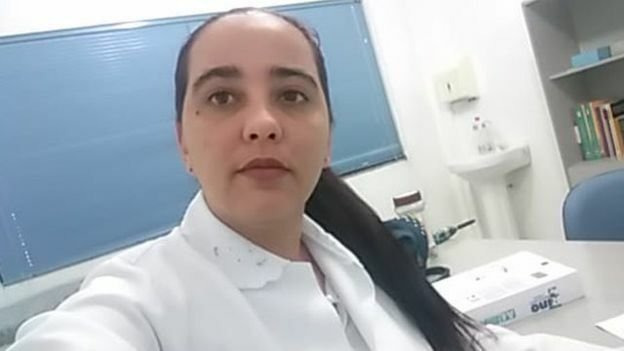 The difficult situation of thousands of Cuban doctors in Brazil after Bolsonaro’s arrival in power. The “More Doctors” program was launched in 2013 on the initiative of then-Brazilian President Dilma Rousseff. The program “Formerly they saw us as gods, today they see us as nothing”. Cuban doctor Yulia Molina Hernandez does not know what other doors to knock to get out of the situation in which she finds herself. Molina arrived in Brazil five years ago as part of the international program “Mais Medicos” (More Doctors), an initiative launched in 2013 by then Brazilian President Dilma Rousseff to facilitate basic medical care in disadvantaged and remote areas of the country. 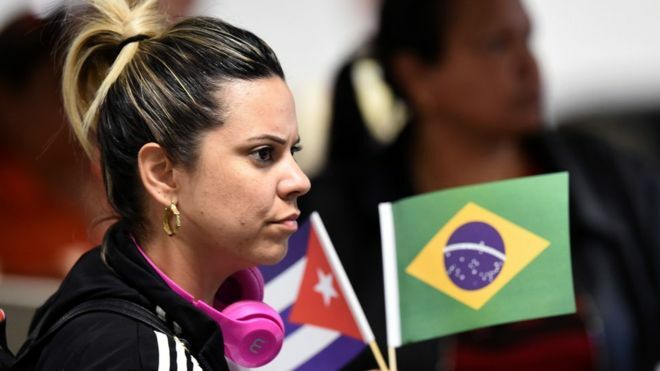 Last November, Cuba announced its withdrawal from the program due to conditions imposed by the new president of Brazil, Jair Bolsonaro. 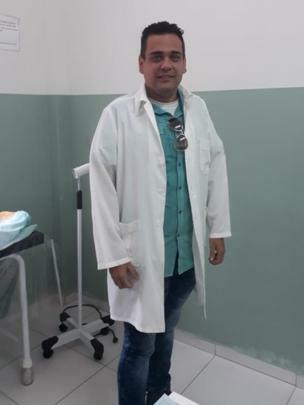 The decision left more than 8,000 Cuban doctors facing the dilemma of returning to the island or staying in Brazil and being considered deserters by the Cuban government. Más Médicos” started in 2013 at the initiative of then-Brazilian president Dilma Rousseff. More than 2,500 chose to stay and now denounce the precariousness in which they find themselves: they cannot practice medicine and cannot find other types of jobs. “It’s something I’ve been thinking about for a long time,” doctor Surizaday Fernándezr, told BBC Mundo. “You get tired of being exploited, in the end, you lose years of life, you lose time with your family, you lose a lot of things. I had made my decision. Despite this, Fernandez, 31, was paralyzed when she learned that Cuba was withdrawing from the More Doctors program. “I was walking and I was in shock, I didn’t know whether to go forward or backward. When Bolsonaro won, he knew that Cuba was going to pick us up, but I didn’t imagine it would be like that. Fernandez then lived in Cunha Porã, a small municipality in the southern state of Santa Catarina, from where she moved to other municipalities to find employment. There she began her odyssey, similar to that of many of her colleagues. 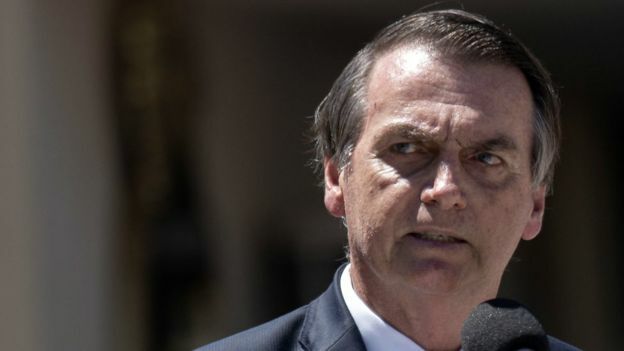 Following the announcement of Cuba’s withdrawal from the More Doctors program, Bolsonaro said Cuban doctors who wanted to stay in the country would receive asylum and could work as doctors if they re-validated their degree. Joan Rodriguez is living with another Cuban doctor in the house of a Brazilian woman who does not charge them rent. 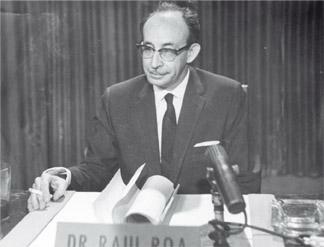 However, the reality is becoming much more complicated, as doctor Joan Rodriguez relates. “I arrived in Brazil in June 2017 and I was working normally until the cancellation of the program. I got by for two months with the savings I had. 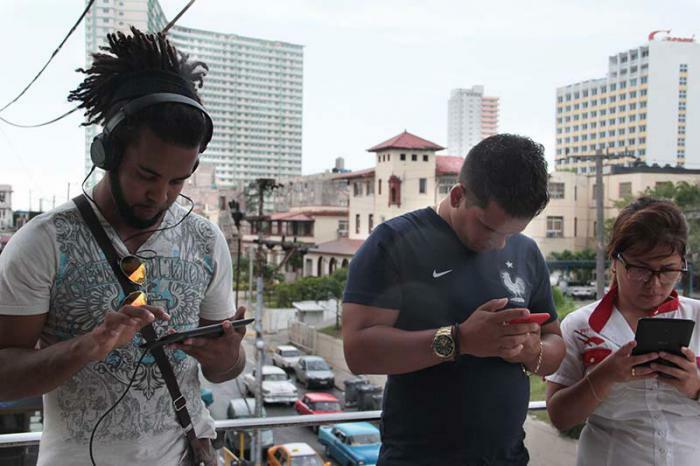 At the end of last December, the Brazilian government created an edital, which is like a public announcement, to cover the 8,500 places that the Cuban government had taken out. “We Cubans were able to register, but the day before we were able to apply for a place, our rights were terminated. We were told that we could go to the federal police in each state to ask for refuge. “They gave us a paper, the request for refuge, with which we could go to the Ministry of Labor and ask for a job portfolio, which is like a permit to be able to work in Brazil,” he explains. The job portfolio hasn’t been much use to him so far. “When they realize that we are Cubans and that we were members of the More Doctors program, they close all our doors for work,” he laments. 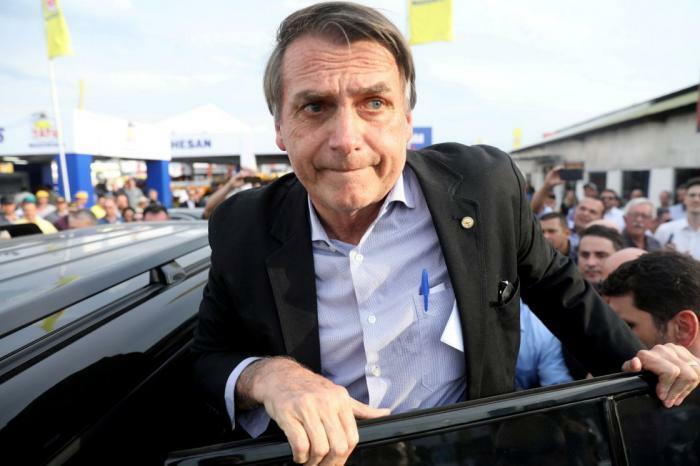 The president of Brazil, Jair Bolsonaro, announced new conditions for the “More Doctors” program as soon as he won the presidential elections in his country. “Many people, when they find out that we are doctors, tell us that they cannot offer us work because our hierarchical level is superior. “We were doctors, yes, but today we are nothing, we are like anyone else, needing work in order to survive,” he says. BBC Mundo tried to find out the position of the Brazilian Ministry of Health, but at the time of publication of this article, it did not receive a response. Yulia Molina has hit the same obstacles as Rodriguez. Yulia Molina (left) has not found a job in Brazil for two years. Her story is similar to that of her colleagues, albeit with nuances. 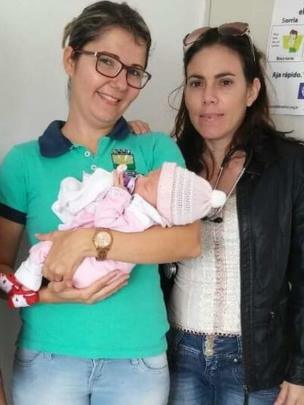 She did not leave the program when Cuba closed it, but two years ago because she was pregnant, with a threat of preterm pregnancy, and Cuba demanded that she return in that condition. “Since I didn’t want to go back so as not to risk my life or that of my son, they gave me up as a deserter. Either you leave or you stay. That was the choice I was given, and I stayed,” Molina told BBC Mundo. The 34-year-old doctor lives in the northeast of the country, where the economy is not at its best. “The entry of money where I live is much poorer because things are much more expensive. What you buy in the south for a price, here they sell it to you for double. I haven’t worked in two years. “I can’t find a job because I’m a doctor, I don’t care, I just want to work, ‘but you’re a doctor,’ they tell me. “They are obstacles that face us, for no reason whatsoever. What there is xenophobia with any foreigner, not only with Cubans. Formerly they saw us as gods, today they see us as nothing,” she says. 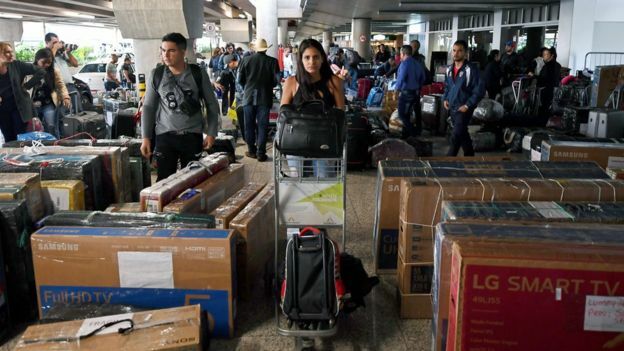 Thousands of Cuban doctors packed their things and returned to Cuba after their country’s withdrawal from the international “More Doctors” program. Molina considers herself lucky because at least her husband has a job. She says she knows many of her compatriots who are going through very delicate situations. “I know cases of people living in a house to pay the rent, eating in the least healthy way possible, colleagues who are desperate, many thinking of going out in caravans. 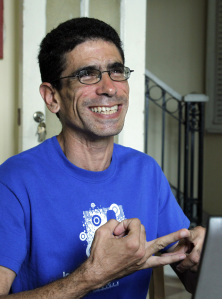 The Cuban doctors with whom BBC Mundo spoke agree that the option of the title revalidation is practically unattainable. 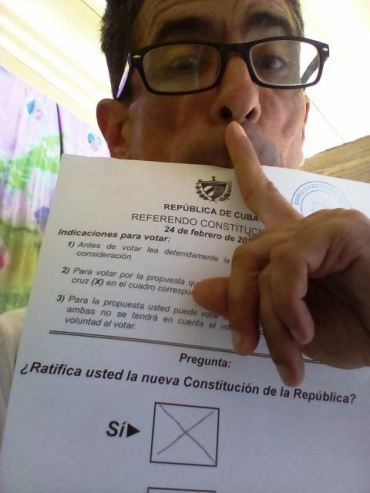 The main obstacle, they say, is that the Cuban government retains their documentation and without these papers, there is nothing they can do. Returning to Cuba is out of the equation. 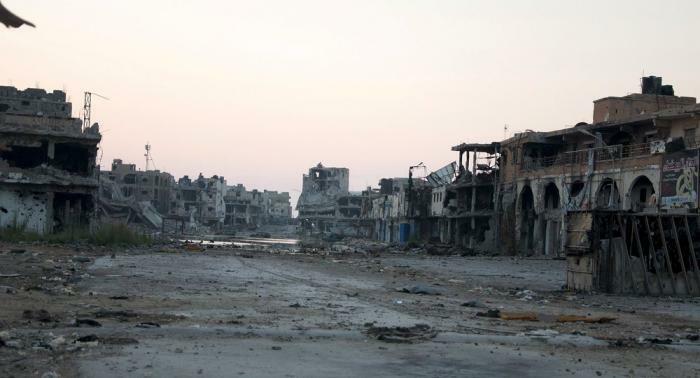 Being considered deserters, these doctors cannot return to the island for another eight years. And even if the Cuban government decides to allow them to return as they expressed last February, the doctors fear the treatment they might receive. Thus, Yulia Molina, Joan Rodriguez, Surizaday Fernandez and most of their paralyzed colleagues in Brazil have their sights set on the United States. “Our future is very uncertain. We realize that we cannot stay in this country. At the beginning of January, Republican Senator Marco Rubio proposed reopening the U.S. the medical parole program that Obama closed in January 2017,” says Rodriguez. 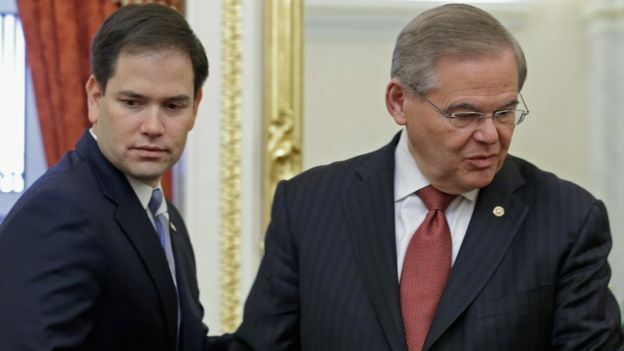 Last January, Senators Marco Rubio (left) and Bob Menendez presented a motion for a resolution to reopen the Parole Program for Cuban Medical Professionals. The parole the doctor is talking about is the Cuban Medical Professionals Parole Program (CMPP) which was launched in 2006 and which allowed Cuban medical personnel who were in other countries (i.e., not in Cuba or the United States) to apply for permission to enter a U.S. embassy or consulate. On January 12, 2017, the U.S. and Cuba signed an agreement to normalize their migration policy relationship, and the U.S. Department of Homeland Security terminated the CMPP. Molina has the same hope as Rodriguez. “The only real alternative would be the opening of the parole that is what we are fighting for today. This is not a story, it’s not that we’re faking it. And it’s not that it’s going to get better, it’s that we don’t see a better future in Brazil. Many of the Cuban doctors who stayed in Brazil are unable to find employment, even in other sectors. For her part, Fernandez is clear that she is not going to stand idly by. 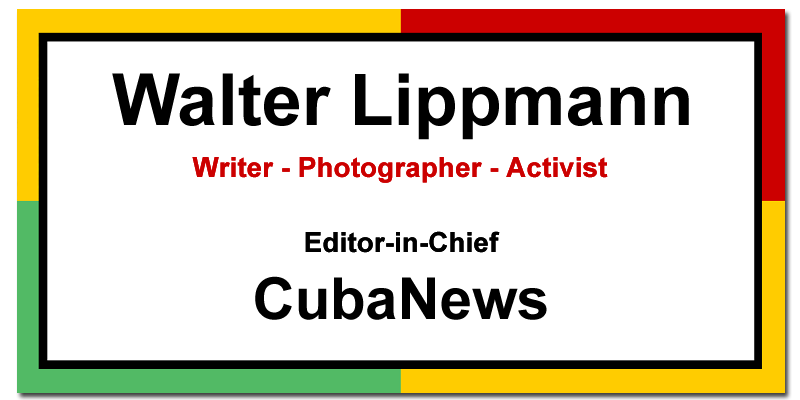 “When I decided to stay out of Cuba, I decided to pull forward. I assumed I wouldn’t practice medicine for long, maybe never again,” she admits. “I’m not going backwards or to gain momentum. Always in the hope that parole will open and have the opportunity, later, to do another formation. In the U.S. they have study programs, more possibilities of employment, of having a normal, dignified life. “I studied six years that cost me my sacrifice, my effort and that of my family, no one else. I do not admit that a person comes to treat me as if I were garbage. I work in whatever is, in whatever touches me, but that is respected”. When Cuban society advances towards computerization as a priority, it turns out, in the opinion of Dr. Miriam de la Osa O´Reilly, head of the Psychiatry Service of the Hermanos Ameijeiras clinical-surgical hospital, that the theme chosen for the IX Cuban Congress of this specialty is very timely: Frontiers of Psychiatry and the Impact of New Technologies. In the danger of living an excessively “connected” 21st century, and increasingly dependent on computers or cell phones, psychiatry finds new and enormous challenges, said Dr. Miriam de la Osa O´Reilly, head of the Psychiatry Service of the Hermanos Ameijeiras clinical-surgical hospital, to Granma during the first day of the 9th Cuban Congress on this specialty. We are talking about behavioral addictions, which can range from distorting reality, showing dependence on devices to having communication and socialization problems, and even suicidal attitudes, all related to the misuse of mobile phones and different social networks on the Internet. 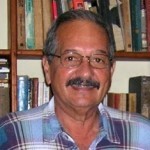 When Cuban society moves towards computerization as a priority, in the opinion of the specialist, the topic chosen for the appointment is very topical: Frontiers of Psychiatry and the Impact of New Technologies. The congress, which seeks to be a space for reflection, scientific exchange and professional commitment, on a science that gains in maturity and experiences on the road to human improvement and well-being. It brings together more than 250 Cuban delegates and some twenty countries at the Havana Convention Center through Friday, March 15. “We have tried to make the scientific program address the main problems of mental health in the population, while constituting an update on topics specific to this century. Among these are the advantages and dangers of using the Internet, but also the development of neurosciences and nanotechnology in psychiatry,” said the president of the organizing committee. We communicate all the time, and there is a network like a highway, in which one can advance in time, distance, friends and knowledge is extraordinary. But that same goal implies, if not used properly, multiple dangers, she said. That’s why psychiatry professionals insist, from the promotion of health and prevention of diseases, on being aware of the problems that so-called TICS can bring; an alert that involves the media and the rest of society, especially when Cuba connects more and more, insisted Dr. Osa O´Reilly. Healthier contents should be placed in the social networks that are being created and in the existing ones. They should be directed to the well-being of people. At the same time, a critical reading of those messages that we consume daily is needed. And let’s not lose sight of what the smallest members of the household consume, she warned. The young population is the most affected by this misuse, explained the specialist. And there are plenty of examples, ranging from nomophobia or fear of being without a mobile phone for a long time, the need to check it even when the person wakes up at dawn, to the controversial selfies, which have caused death in the search for new, exuberant places… and the construction of a virtual life in networks like Facebook, dissonant from reality and which can lead to depression. The interviewee also mentioned other organic consequences of these addictions, such as vision disorders or orthopedic disorders, when adopting incorrect postures for a long time in front of a computer or mobile phone. On the other hand, for Profesor de la Osa, in this technological era, the cornerstone of the specialty continues to be clinical training, she said. 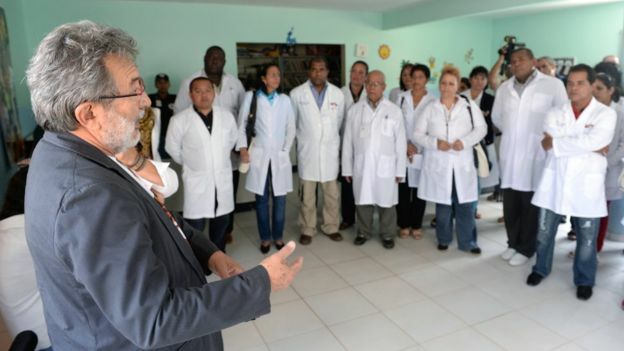 Based in the capital, the 9th Cuban Congress of Psychiatry was extended in a group of pre-congress courses to the provinces of Artemisa, Santiago de Cuba and Holguín. 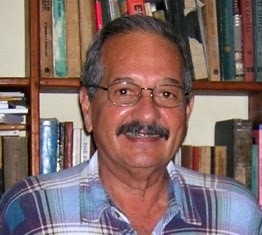 On the closing day this Friday, Doctor of Science Pastor Castell-Florit Serrate, director of the National School of Public Health of Cuba and president of the National Council of Scientific Health Societies, stressed that Cuba recognizes the complexity of mental health problems and their social determination, as well as the right of the population to it. In addition there’s to the provision of information and communication with patients and families, and to understanding and support until recovery and continuation of the life project. Dr. Carmen Borrego, head of the Mental Health and Addictions section of the Ministry of Public Health, signified the high knowledge and responsibility of the professionals of this branch in Cuba, who work in a wide network of services in the country and exceed one thousand specialists. If democratic forms of government have been subjected to the harshest tests in recent times, nowhere have they been so fiercely attacked and placed in such a serious disruption as in our America. “Peace is the supreme aspiration of the man who feels freedom as an imperative of conscience. Photo: Archive. If democratic forms of government have been subjected to the harshest tests in recent times, nowhere have they been so ferociously attacked and placed in such a serious disruption as in our America. From south to north, military lodges, lords of the earth, merchants of power, wild oligarchies and big companies, in a sinister consortium, have been abolishing the fundamental freedoms of man and of the citizen, without the UN and the OAS giving them a break, The cynical adulteration of the popular will, or the violent substitution of constitutionally-elected governments by autocracies using typical totalitarian rhetoric, characterize this dramatic process, which threatens to be generalized to the whole continent. Pseudo-Marxist fifth columnism and imperialist greed today lord it over a beam of invertebrate nations, at the mercy of unscrupulous swords, gamonales, politicians, bankers and businessmen. Scarce governments of popular roots, the majority undermined by administrative corruption, social imbalances, electoral demagoguery and colonial exploitation, complete this gloomy picture. There is no doubt that the fate of democracy is cast. The unavoidable urgency of forming a broad front of resistance to the unbridled aggressiveness of the enemies of popular liberties is obvious. It is indisputable that the democratic conception of life, society and the state is consubstantial with the spirit and historical development of our peoples; but, no less, that conception is currently threatened by the most regressive and rapacious forces of our time. The central question to be debated is how to galvanize the democratic regime, to the point of promoting, in the peoples, the passionate determination to defend it, at the price of life, in all contingencies and avatars. A democratic regime without economic content, without a broad social base and without the active participation of the people in the orientation of public power, is a useless piece of junk at this historic juncture of transition. There can be no room for circumlocutions or euphemisms. The fundamental problem facing democracy at this time is how to organize society without compromising freedom. On a universal level, it is now imperative that democracy clearly distinguishes subjective rights from patrimonial rights. Questions concerning the human person can only be resolved with the “discovery and establishment of a fairer legal structure, which allows the problem to be reduced to its true terms”. Economic rights can already exist only in function of society. No individual interest, which pretends to oppose the social interest, is legitimate. If we aspire for man to recover his “lost fertility” and to develop, to the full, his aptitudes and powers, it is indispensable to socially discipline things. The task ahead of the democratic movement is extremely complex. In the particular case of our America, we have to count on what history has given us. In material and cultural terms, much progress has been made so far this century. Considering the process as a whole, we must agree, however, that the economic, social and administrative structure of the Latin American peoples is in need of a substantial transformation. This transformation must go hand in hand with respect for public liberties and an international policy of militant repudiation of all regimes that violate human dignity. It should be insisted that only through clean elections, administrative honesty, public freedoms, economic welfare, social justice, diffusion of light and consolidation of sovereignty can the representative institutions in this hemisphere be saved. The opportunity is unique to provide content and historical projection to the fight against the American dictatorships. The American states have acquired the commitment to guarantee freedom and justice to the peoples by signing the Charter of Human Rights in the UN Charter of the Rights and Duties of Man at the IX Inter-American Conference in Bogota. Peace is the supreme aspiration of the man who feels freedom as an imperative of conscience. The role that the leaders of the working forces will play is of the first line. No one like them will be able to contribute the most urgent and effective formulas for social improvement to strengthen the democratic regime. Nor can the problem of the industrialization of our America be uncontroversial. Increasing the economic potential of our peoples is one of the most effective means of strengthening and consolidating the democratic regime and of putting at bay the imperialists of every sign and of every bay. The American states have made a commitment to guarantee freedom and justice to the peoples by signing the Charter of Human Rights in the UN Charter of the Rights and Duties of Man at the IX Inter-American Conference in Bogota. The problem of the industrialization of our America cannot be uncontroversial either. Increasing the economic potential of our peoples is one of the most effective means of strengthening and consolidating the democratic regime and of putting at bay the imperialists of every sign and every bay. The way in which the most developed countries can contribute to this increase in our economic potential must be considered, in the light of this question: could governments that are representative and respectful of public liberties and those that are born of the usurpation of the will of the people and deny their governed the enjoyment of the essential rights of man and of the citizen, be placed on an equal footing with regard to this aid? Nor can the question of the recognition of de facto governments be ignored. On this matter ,there are no guidelines within the inter-American public law, nor unanimity of criteria in the chancelleries. If democracy needs both America to overcome the deep crisis it is going through, it is essential that the policy of good neighborliness be effectively restored. After the death of Franklyn Delano Roosevelt, on many osions the “good guys have been us and the neighbors them. May the government of the people, by the people and for the people, cease to be the government in the name of the people, without the people and against the people! And may they live on an equal footing, in peace and harmony, the America of Juarez and the America of Lincoln! (Excerpts taken from the book 15 años después [15 years later], Editorial Librería Selecta, Havana, 1950). With its ratification by a resounding majority of its citizens, Cuba gets the first Constitution in its history and one of the few in the world that explicitly supports the rights of lesbian, gay, bisexual and trans people. The new Magna Carta is the result of more than a decade of citizen and institutional activism for the sexual rights of LGBTI people, of progressive political and governmental work for comprehensive sexuality education, and of the growing overcoming of homophobia and transphobia among the Cuban population. It expressly proscribes and punishes by law discrimination based on sexual orientation and gender identity, among other grounds (Article 42). It recognizes the right of everyone to found a family, and protects all families, regardless of their form of organization (Article 81). It deletes the previous definition of marriage as the union between a man and a woman, and conceptualizes it only as a social and legal institution, and one of the forms of family organization, which is based on free consent and the equal rights, obligations and legal capacity of the spouses (Article 82). This 2019 Constitution, more than a goal, then, is a starting point. Great trials will have to be faced in the future, in particular the process of popular consultation and referendum on the draft Family Code. Within two years from the entry into force of the Constitution, the Family Code will have to establish the way of constituting marriage, among other issues that concern LGBTI people very. The convincing success of the YES in the constitutional referendum that we have just held does not mean that the great majority of Cubans understand, respect or support our rights as lesbian, gay, bisexual and trans people. On the contrary, the great lesson of the popular consultation and of some of the modifications that the draft Constitution underwent, as well as its interpretation, was that there are still many prejudices, much ignorance and even recalcitrant, retrograde and extremist positions in our population. Such objections and resistances, deliberate or unconscious, do not exclude individuals or sectors that support the Revolution in other areas, and even occupy leadership responsibilities at different political or governmental levels of the country. Nor does the defeat of the NO in the vote imply that among the minority that in one way or another showed its disagreement with the new Law of Laws there are no sensitive people, directly interested or sympathetic to the defense of LGBTI rights. We will then have to promote, activate or recompose alliances, excuse grievances, appease hostilities and resentments, overcome disunity and strengthen strategies for working together among activists, organizations and institutions that advocate for free sexual orientation and gender identity. It is also foreseeable that on this road towards the realization of such constitutional guarantees there will be controversies, conflicts and disagreements, including clashes and rebellions, questioning and injustices; advances, stagnations and setbacks, all of which should not discourage or discourage us from taking the necessary risks. It will therefore be essential to deploy all our intelligence and responsibility, negotiation skills and capacity, maturity and political courage, so that we can ensure that this wonderfully advanced constitutional chrysalis spreads its multi-colored butterfly wings in specific laws that effectively regulate and guarantee our rights as LGBTI people. In 40 years, the Islamic Republic of Iran has resisted all kinds of compromises on the part of the U.S., in the imperial eagerness to destroy the Revolution. There have been four decades in which significant advances have been made as a guarantee that its project looks towards the present and future, from the economic, scientific and peaceful nuclear development, among other achievements. That February 11, 1979, the founder of the Islamic Republic, Imam Khomeini, who had returned to the Persian country after 15 years in exile in Iraq, Turkey and France, became the leader of his nation until his death in 1989. According to Ayatollah Ahmad Yanathi, the current president of the Assembly of Experts, “Khomeini succeeded in restoring the dignity of Islam and taught the population to fight against the humiliation of the West. History recalls that, in 1951, Iran managed to establish the first democratically elected government and as leader held the post of Prime Minister, Mohamad Mosadeq, who nationalized the country’s oil industry. Two years later, in 1953, the U.S. and British intelligence services staged a coup d’état and wiped out the popular government of the time and entrenched Mohamad Reza Pahlavi in power. Today, the same enemy of that time – the governments of the United States and its ally Israel as a spearhead – maintains and increases the threats against the country and applies more and more economic sanctions with the aim of surrendering to the population. An unprecedented and very characteristic event of the current US administration of Donald Trump was the unilateral break with the Nuclear Agreement signed by Iran and five other powers in 2015, considered one of the greatest achievements in international relations in recent decades. In that imperial greed that takes no account of the people at all, National Security Advisor John Bolton assured last year that Iran would not celebrate the 40th anniversary of its Revolution, frankly threatening to reverse that nation’s revolutionary process. The Islamic Republic of Iran, whose project in all orders has its vision in the autonomous development of the different fronts, including the military, exhibited during these days of celebration a long-range missile with a radius of 1 350 kilometers. The Iranian Ministry of Defense presented the new cruise missile called Hoveize, manufactured locally and successfully tested, according to the ISNA news agency. The authorities claim that their missiles are only defensive and deterrent. 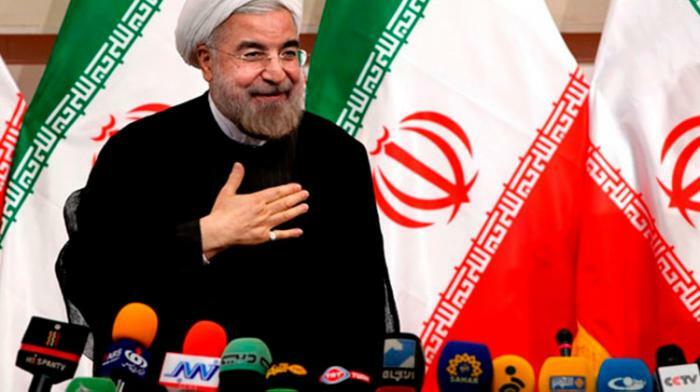 According to Hispantv, with the victory of the Islamic Revolution, Iran designed great objectives such as economic independence, self-sufficiency, the creation of jobs and a standard of living for its citizens. Among its achievements is the significant reduction of poverty in the country. In 1977, according to the World Bank, 46% of Iranians lived below the poverty line. This figure dropped to 8% in 2015, according to a World Economic Forum report. Although Iran is ranked among the developing countries, it has made great strides in aerospace, becoming one of the pioneers in the field. In 2009, it launched its first home-made satellite, Omid, to join the small club of nine countries with such capacity. Its scientific achievements also stand out in biotechnology. Genetic engineers have started important research in recent years, which has resulted in the production and export of dozens of biomedicines. Iran is among the top ten countries in the world in stem cell research and technology. It has recorded great successes in animal cloning. It has also excelled in bone marrow transplantation, occupying the second position on the planet, after Italy, reported Hispantv. The Persian country, undoubtedly, has made resistance a major reason, first to defeat their enemies and then to develop the people and make the nation self-sustainable. An example of these days is the decision of Iran and Russia to use their national currencies in reciprocal exchange, which implies dispensing with the U.S. dollar.